Medenham Abbey, near Henley on Thames. 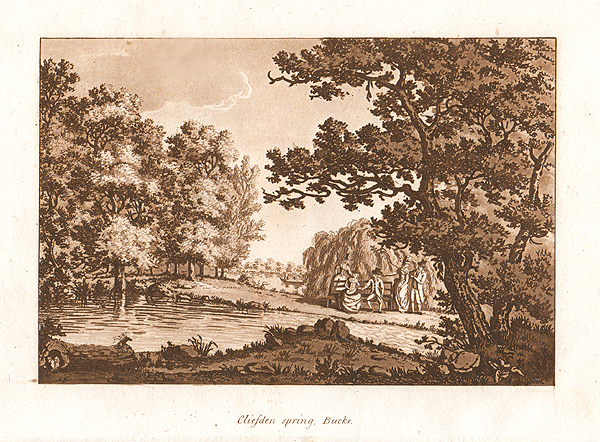 An antique line engraving by J. Newton published by S. Hooper, 217th February, 1787 with later hand colouring. Prospect of Aldchester near Bicester. Alauna. More Info An antique line engraving by E. Kirkhall after Stukeley of 'Ruins of King John's Palace at Clarendon. Aug. 3, 1723' which appeared in William Stukeley's 'Itinerarium curiosum' (London: 1724). The Roman Road to Bicester crossing the Akeman Street Way is indicated. An antique line engraving by E. Kirkhall after Stukeley of 'Ruins of King John's Palace at Clarendon. Aug. 3, 1723' which appeared in William Stukeley's 'Itinerarium curiosum' (London: 1724). The Roman Road to Bicester crossing the Akeman Street Way is indicated. More Info An antique line engraving after Stukeley of 'Alavna' which appeared in William Stukeley's 'Itinerarium curiosum' (London: 1724). The Roman Road to Bicester crossing the Akeman Street Way is indicated. An antique line engraving after Stukeley of 'Alavna' which appeared in William Stukeley's 'Itinerarium curiosum' (London: 1724). The Roman Road to Bicester crossing the Akeman Street Way is indicated. An antique line engraving by W.B. Cooke after S. Owen. Published October 1st, 1814 with later hand colouring. An antique line engraving by W.B. Cooke after P. Dewint. Published July 1st, 1815 with later hand colouring. An antique line engraving by W.B. Cooke after P. Dewint. Published November 1st, 1821 with later hand colouring. Friar Bacon's Study at Oxford. An antique line engraving by Hawkins which was published by Alexander Hogg in "The Antiquities of England and Wales Displayed in 1795. More Info An antique line engraving from 'Oxonia Illustrata', published 1675 by David Loggan. The garden was founded in 1621 "to promote the furtherance of learning and to glorify nature" Shows four architectural vignettes and two cartouches. His Oxonia Illustrata was intended as a companion work to Historia Antiquitates Universitatis Oxoniensis by Anthony Woods, with whom Loggan had become acquainted some years earlier. It was the earliest botainical garden in England. Has a few repaired tears and repairs in outer edges. 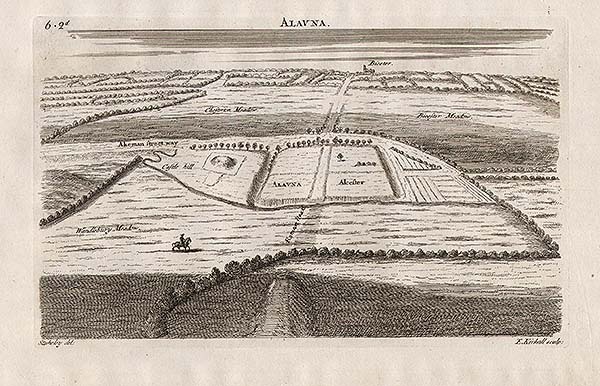 An antique line engraving from 'Oxonia Illustrata', published 1675 by David Loggan. The garden was founded in 1621 "to promote the furtherance of learning and to glorify nature" Shows four architectural vignettes and two cartouches. His Oxonia Illustrata was intended as a companion work to Historia Antiquitates Universitatis Oxoniensis by Anthony Woods, with whom Loggan had become acquainted some years earlier. 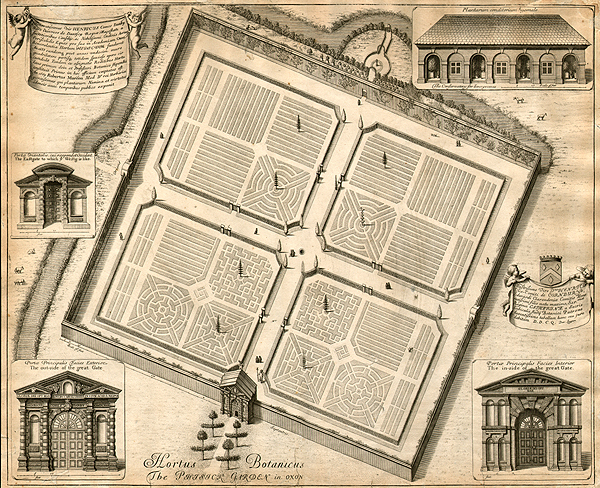 It was the earliest botainical garden in England. Has a few repaired tears and repairs in outer edges. Ruins of Stanton Court in Oxfordshire. An antique line engraving by W. Watts after Paul Sandby. R.A. Published January 1st, 1778 with later hand colouring. Old diagonal crease in lower half and a repair in top margin. An antique line engraving by Hay after J.P. Neale. Published September 1st, 1812 with later hand colouring. An antique line engraving published by S. Hooper on 20th, November, 1783 with later hand colouring. An antique line engraving by H. Hobson after J.P. Neale. Published October 1st, 1814 with later hand colouring. The West view of Godstow Nunnery near Oxford. An antique line engraving after Samuel and Nathaniel Buck. Printed in London by Newbery and Carnan, between 1765-1770 from A Description of England and Wales with later hand colouring. The Market Placeof Watlington, Oxon. An antique line engraving by W. & J. Skelton after F. Mackenzie. Published 1st September, 1825 by J. Skelton, Magdalen Bridge, Oxford. Ruins of Minster Lovel Priory, Oxon. An antique line engraving by J. Fittler A.R.A. and J. Skelton after F. Mackenzie and J. Willis. Published 1st March, 1826 by J. Skelton, Magdalen Bridge, Oxford. An antique line engraving by J. Skelton after F. Mackenzie. Published 1st November, 1824 by J. Skelton, Magdalen Bridge, Oxford. 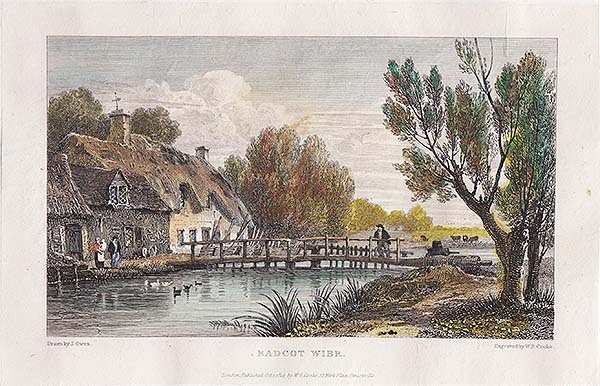 Radcote Bridge. Farringdon hills, &c.
View at Ifley, near Oxford. Godstow Bridge & remains of the Nunnery. View of Carfax & Abingdon from Whiteheads Oak. 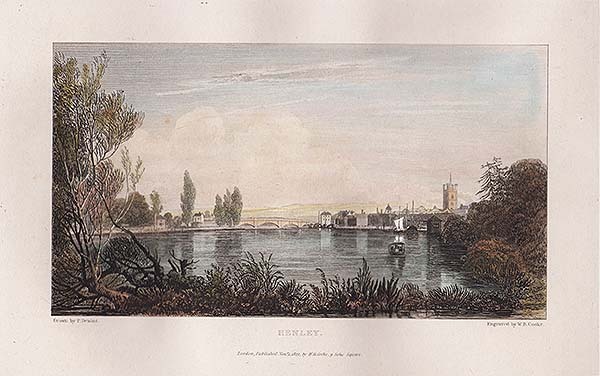 More Info An antique coloured aquatint of Nuneham by J.C. Stadler after J. Faringdon. R.A. View with a man sitting on a bench under the oak tree in the right foreground, next to an urn at extreme right, looking at the view of Abingdon in the background, and the Carfax Conduit in the left middle distance. From "A History of the River Thames" Pub. June 1. 1793, by J. & J. Boydell, Shakspeare Galy. Pall Mall. & No. 90. Cheapside. Some overall age toning. 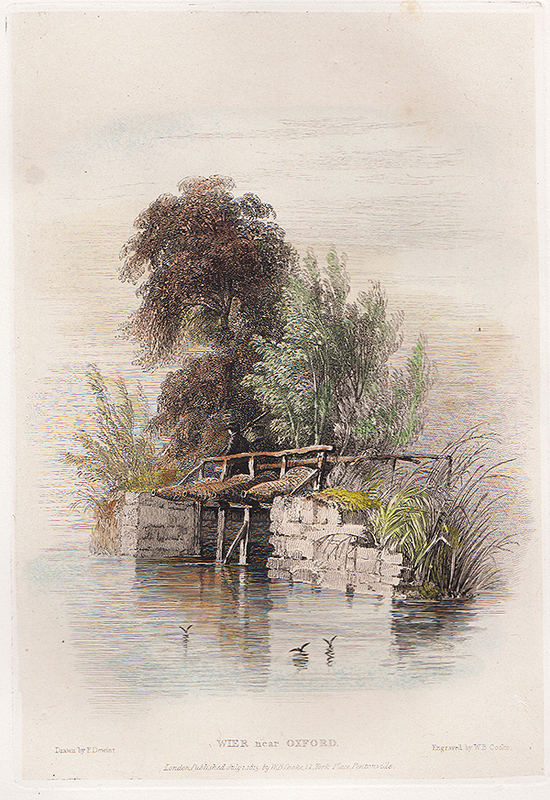 An antique coloured aquatint of Nuneham by J.C. Stadler after J. Faringdon. 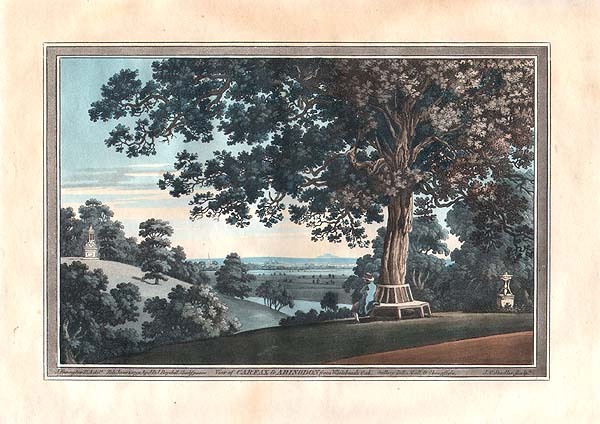 R.A. View with a man sitting on a bench under the oak tree in the right foreground, next to an urn at extreme right, looking at the view of Abingdon in the background, and the Carfax Conduit in the left middle distance. From "A History of the River Thames" Pub. June 1. 1793, by J. & J. Boydell, Shakspeare Galy. Pall Mall. & No. 90. Cheapside. Some overall age toning. The South West View of Clattercoate Priory, in the County of Oxford. 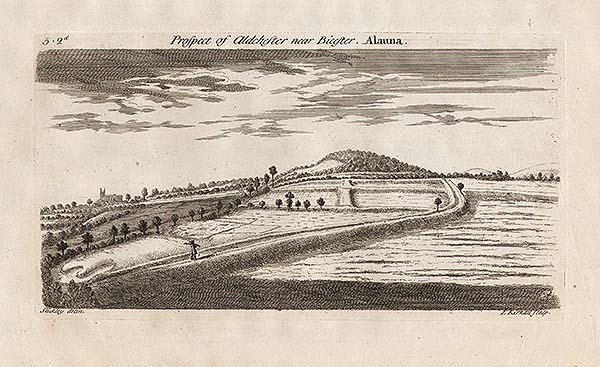 More Info An antique copper-engraved view from the historic work of the brothers Samuel and Nathaniel Buck, "Views of Ruins of Castles & Abbeys in England," 1726-1742. Samuel and Nathaniel Buck were the most important topographical artists of the 18th century, creating a record of over 500 ancient monuments & towns in England and Wales. This print is dated 1729. An antique copper-engraved view from the historic work of the brothers Samuel and Nathaniel Buck, "Views of Ruins of Castles & Abbeys in England," 1726-1742. Samuel and Nathaniel Buck were the most important topographical artists of the 18th century, creating a record of over 500 ancient monuments & towns in England and Wales. This print is dated 1729. An antique line engraving drawn and engraved by F. Stevens. Published in 1815. Opening of the new Theological Institution, at Cuddesden - The address of the Bishop of Oxford. An antique woodcut engraving which was published in "The Illustrated London News". Circa 1853. Later coloured by hand. An antique line engraving by Sparrow, published 7th March, 1785. An antique line engraving by Sands after William Tombleson enclosed within an attractive decorative boarder. Published in 1834. Later coloured by hand. 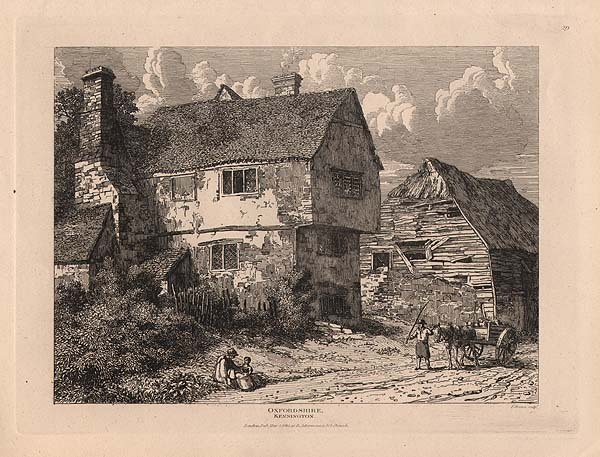 An antique line engraving by W. Watts after Paul Sandby. R.A. Published in 1778. Embossed Library Stamp in top right margin. West View of Godstow Nunnery near Oxford. East view of the Inside Eynsham Abbey, near Oxford. An antique woodcut engraving which was published in "The Illustrated London News" on April 23rd, 1853. The colouring is later. South West view of Clattercote Priory. The Old Kitchen at Stanton Harcourt. An antique line engraving by Noble published by Alexander Hogg. Circa 1790. The Chapel at Stanton Harcourt. West view of Godstow Nunnery, near Oxford.